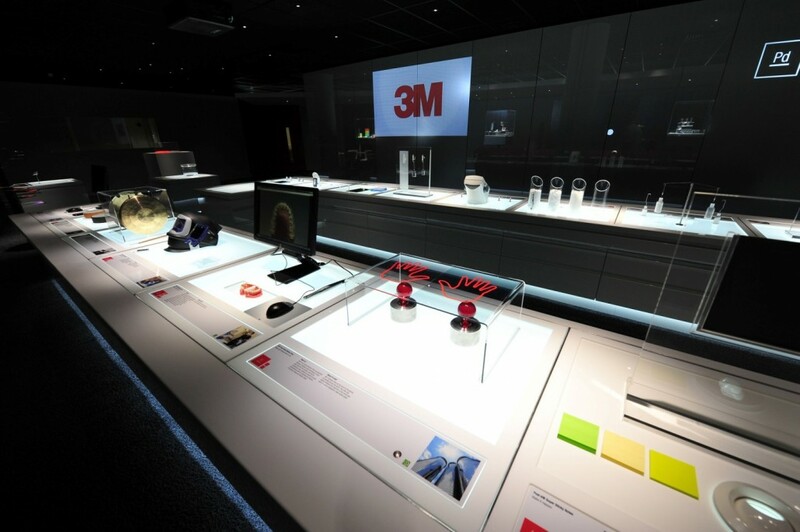 Located on the ground floor of 3M’s existing 3M Centre headquarters in Bracknell, the 3M Customer Innovation Centre provides a new facility in which to showcase 3M products and inventions and to provide both existing and prospective Customers with a glimpse of the world of 3M Innovation – a world which touches all as aspects of home, work and leisure environments. 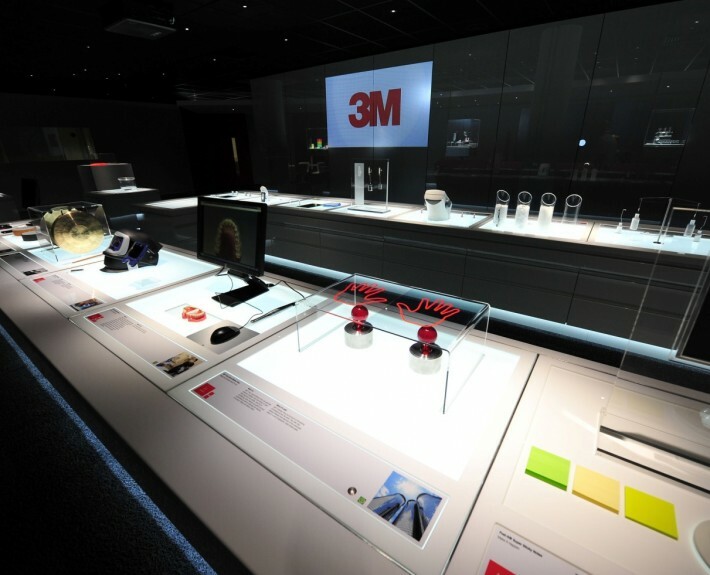 The new facility is comprised of a series of spaces through which visitors are taken on a journey through the 3M business. 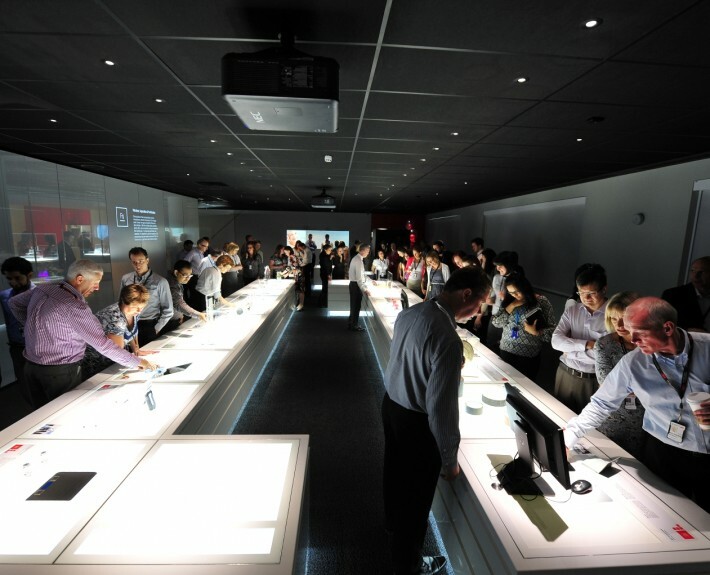 The new spaces include the 3M Collaboration Lounge, the 3M Innovation Centre and a series of support spaces including a Seminar Room, Workshops, Sound Booths and AV Control Room. 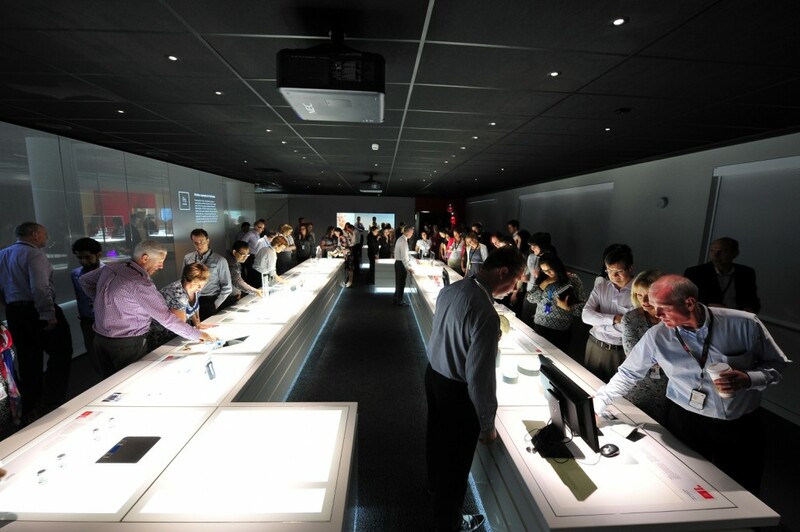 The Customer experience begins at the 3M Collaboration Lounge, a Customer reception space and creative zone where staff can meet informally to collaborate. From here the Customer is taken on a tour through 3M innovation and invention via presentation and demonstration within the 3M Innovation Centre. 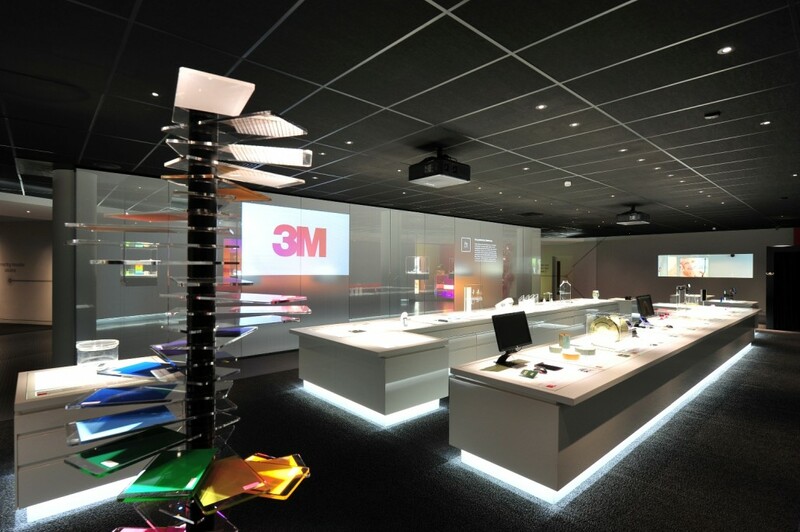 Alongside this space are a series of flexible Workshops where Customers can get hands on with the product or technology of their choice and to work collaboratively with 3M. 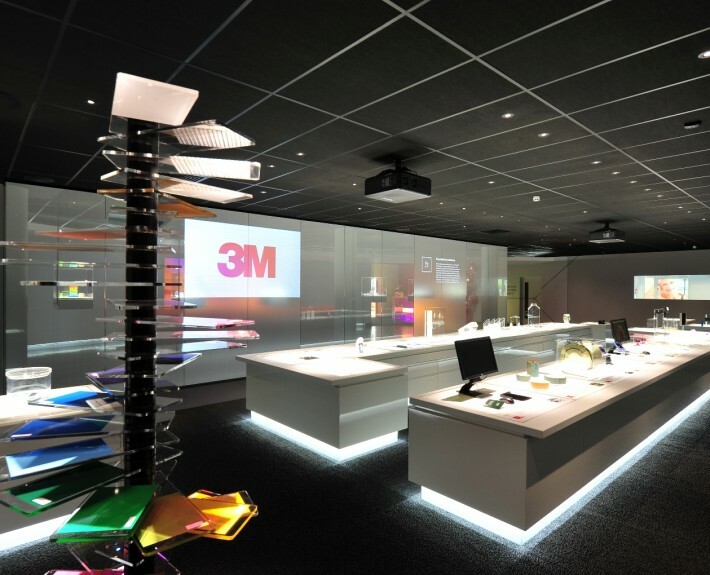 Working closely with the 3M team established to develop and manage the project, HLN were responsible for architectural and structural engineering design and performed the role of lead consultant and contract administrator.